Looking for the perfect old fashioned Chocolate Chip Cookies recipe? You’ve come to the right place! Our family has been making this recipe for decades so it’s tried-and-true and does not disappoint. 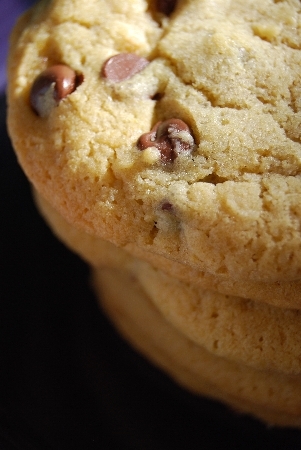 Have you made countless chocolate chip cookies and never found the perfect one? I’m here to tell you, this is it! This is my mom’s chocolate chip cookie recipe and it’s by far the best one I’ve ever found. 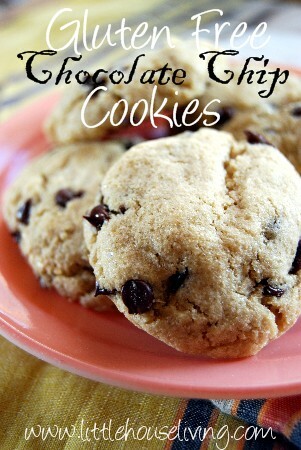 The cookies are just the right amount of chewy and chocolate chippy goodness! Mix together the sugars, butter, shortening. Add in the flour, baking soda, and salt. Mix well. Drop the dough onto a greased cookie sheet. I like to use the muffin scooper to make them so they are bigger. 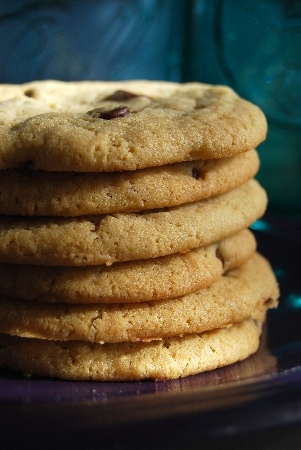 Need to print this Old Fashioned Chocolate Chip Cookies recipe? Grab it below! Bake at 350F for 12 minutes or until slightly browned on the tops. 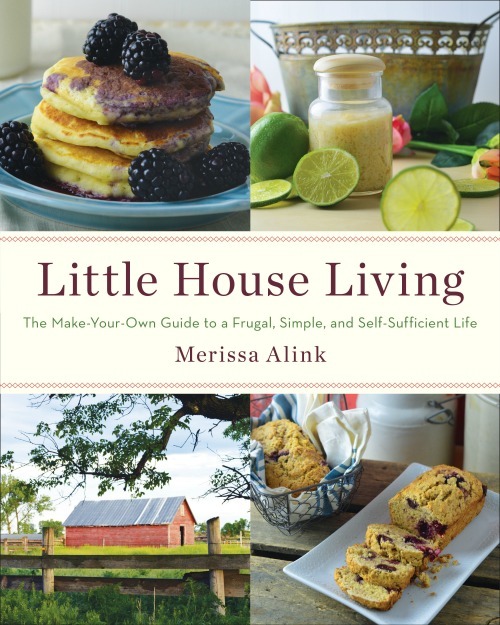 This recipe can be found in an easy-to-make and store mix in my book Little House Living: The Make Your Own Guide to a Frugal, Simple, and Self-Sufficient Life along with over 130 other recipes. 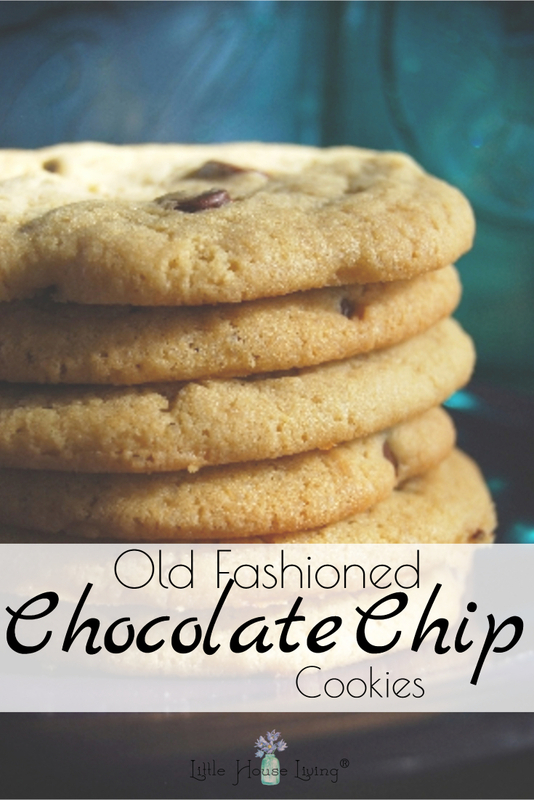 Have you made this Old Fashioned Chocolate Chip Cookies recipe yet? How did you like it? 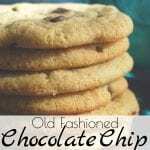 This Old Fashioned Chocolate Chip Cookies recipe was originally posted on Little House Living in October 2010. It has been updated as of January 2019. I have been using this exact recipe for 32 years and it is the best! I recently read that bread flour makes a chewier cookie and it stays softer. I haven't tried it yet but I plan to. Yum,yum Sweet girl you have done it once again! you know making my mouth water! I don’t buy shortening, I’ve always used butter instead. Since there is already butter, can I use more, or does it have to be shortening and butter? Thanks. They look delicious; I’ll have to give them a try. I have been searching for a great chocolate chip cookie recipe, so when I saw yours I gave it a try. My dough really spread and my cookies ended up thin and crispy. Any suggestions for what I did? Your pictures looks so much better than mine turned out. Did you use all butter or half butter half shortening? Either way you want to make sure that the butter is just softened, not melted. Nice blog! Found your link at Coffee, Tea, Books and Me. When we married 39 years ago, the only thing I knew how to cook was bacon and Kraft Spaghetti mix. That’s it. I didn’t even know how long to boil an egg. But I learned and I learned quickly. Raising two boys, I baked hundreds of dozens of cookies and Chocolate Chip was one of their favorites. My recipe called for shortening, but I always used vegetable oil (now I use canola instead of soybean). Butter gives a wonderful flavor, but it does tend to spread out a little and my husband has to watch his saturated fat content. We use only butter for spreading on toast and potatoes and things, so I just save when I can. I made these and they were fantastic. Big hit with the kids. Thanks so much! Would love the gluten free recipe!!! 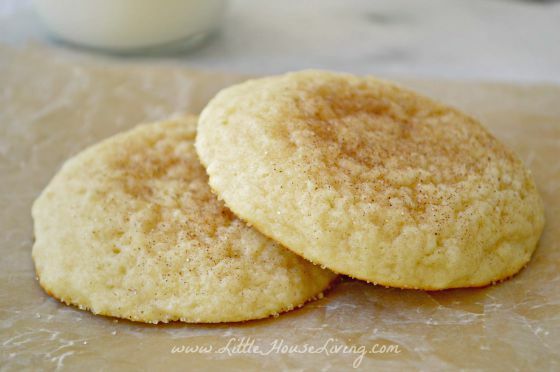 These will always flatten more when made with butter instead of shortening but if you want them to stay puffy and still use a natural product you could always make them with coconut oil or palm shortening. 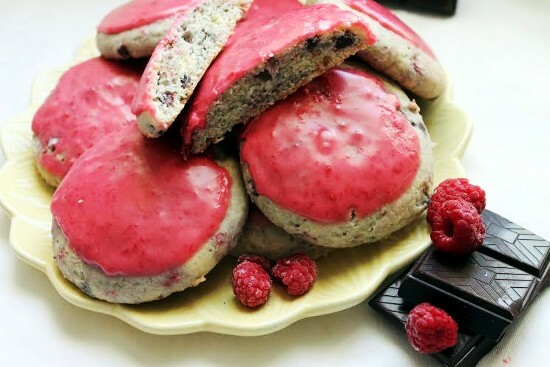 Oh wow….these cookies taste AMAZING! Thanks for posting the recipe! I ended up using a combination of coconut sugar and honey (because that’s what I had on hand) and they turned out nice. Mine were a bit fluffy/cake-like due to the honey but they had a great flavor. I didn’t have a semi-solid shortening so I subbed liquid oil and it came out fine. What about adjustments for higher elevation? More liquid? I’m just about at 1400 ft., in a mountain valley. I don’t think you will need to make an adjustment for that altitude.